Date of Occurence: Thursday, 19th April, 2012. Its a warm Afternoon, browsing and doing lots of tweeting and suddenly I start getting connection issues. I quickly check the volume left in my Etisalat Internet bundle and I discover that its exhausted. I take few steps out of the house and just blocks away, I finally get to this recharge card dealer and I purchase Etisalat Recharge units worth N1,000 (One Thousand Naira). The dealer delivers my purchased cards to me in two (2) units of N500 (Five Hundred Naira) each. Done with the purchase, I head back to my abode. Settled in and then popped out the first card, scratch and in few seconds, its loaded. I pop out the next card and during the process of scratching off the sliver covering, three digits get badly affected. With three digits missing, the recharge process definitely could not be accomplished so I simply had to halt. With the affected card in my hands, I put a call across to Etisalat Nigeria Customer care on 200. I follow few computer commands and within three minutes, I get a voice on&nbsp; the other end and its a lady (Etisalat Customer Care Agent). I relay my issue to her and she makes a request for the serial number of the affected card, of which I waste no time in following through with her request. Unfortunately, as soon as she was done with getting the card's serial number, she states a system upgrade is being undertaken and therefore she would not be able to cross-check the serial number on her system and therefore demanded I call back in 45 minutes. I get caught up in this movie and over an hour after my initial call, I put another call to Etisalat Customer Care and after few unsuccessful attempts, I finally get to speak to an Etisalat agent, though this time around, its a male. He greets me in a Nigerian dialect but then my response is in English. Done with pleasantries, I get to tell him about my issue about the over-scratched card and he then makes a request for the serial number of the affected card. Of course I let him have the details as requested and then he goes on to ask if I can see the first three and last five digits of the affected card and I said Yes. He then goes ahead to request I furnish him with these details (first three and last five digits of the affected card) of which I gladly oblige. He runs the sourced information on his system and confirms that its a N500 (five hundred naira) card of which I replied in the affirmative. Few seconds go by and then he says "I have just loaded the card on your line using our system. Wait for two minutes and then check your account balance". I felt relieved, said thank you and ended the call. However, two minutes was not to be as I checked my line after two minutes and the stated card was not credited. Thirty minutes after and still NOTHING. Irritated! Pondered on the thought of simply buying another card and letting go of the stress of the affected card but then, letting go would have been irresponsible, and so I took another shot at calling the Etisalat Customer care. Few tries and I finally get to speak to an agent, a lady this time around. I restate the card issue to her and as usual, she makes a request for the affected card's serial number of which I oblige. She runs this data in her system and returns with this response "The stated card has been used". Am like 'what'?. I immediately kindly requested that she lets me in on the mobile number on which the card was loaded and she says she doesnt have the&nbsp; privilege to do so. She then request that I give her any numbers I suspect and she would run a check to see if the card was loaded on any of them. Of course I was alone all through and therefore there were no suspects. I simply let her have my mobile number and she says "Sorry, the card was not loaded on this line". I am like, thats my mobile number and the same number I am calling from and then she says "Sorry but the stated card was not loaded on your line''. Still in shock as this would be the first time I would be losing a card after giving details to a customer service agent of any of the telecom companies, I tend try to make a case but then she makes a request to connect me to her supervisor and that was it. Disappointed at the outcome, I send a detailed email to Etisalat Nigeria Customer Care, of which I got an automated confirmation that my email has been delivered. I am currently still holding on for a response. 1. The male customer service agent who got the affected card's serial number including the first three and last five digits must have loaded the card to another customer's line out of negligence. 2. The male customer service agent who got the affected card's serial number including the first three and last five digits must have CONCIOUSLY loaded the affected card to another customer's line (could be a friend or whoever) out of pure disregard to the ethics of his job. I hereby call on Etisalat Nigeria, to investigate this to its logically conclusion and have my card credited back to my account. As the above story made the rounds on twitter, evening of 20th April, 2012, it finally got the attention of a Staff of Etisalat Nigeria by name Chidozie Arinze of whom was never part of the earlier misunderstanding. However, I must update that the above issue has now been resolved and in record time by this humble fellow (Chidozie Arinze) and my account has duly been credited accordingly. This is very sad coming from Etisalat, I pray they get to resolve this for you as soon as possible. I can feel your disgust. Funny enough, even if I was the one affected, I would not have been able to put everything down in so much detail as you've done. I must say that aside this issue with the card, you are surely an excellent writer. Abroad or should I say, any company worldwide that's worth its onions, would have acted swiftly and resolved this issue, without letting it get to this stage where such act as meted out on a customer would become public knowledge. 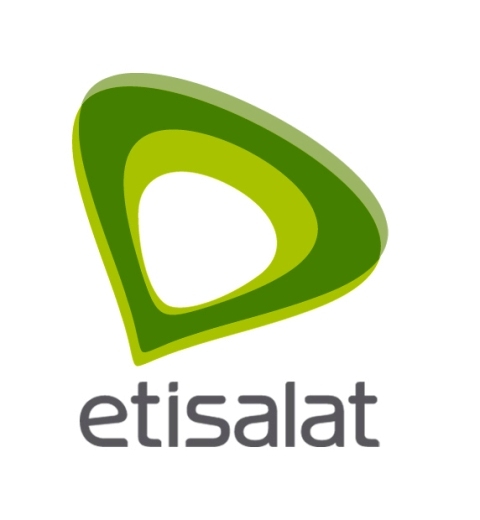 As regards many unsuccessful tries in reaching Etisalat Customer care, I must that I have experienced same so many times, so I dont even bother calling anymore as the call always disconnects whenever you press the number to connect you to an agent. I pray that Etisalat gets their acts straight asap. My brother, I shall comment on this later, then I will post my own experience with Airtel, and we will compare dilemmas. Lol. Thanks for your comment Oga Bar Baric. I would really be looking forward to reading your experience with Airtel. Eta; your case is simple. No matter the distance, the tortoise will always get to his destination as long as he's determined. My advice is that you should just cool off and pretend as if nothing happened; then serve it cold on them when the time is due. Or do you not like the sound of =N=10 to =N=20 million as damages? Thanks Man Emori. Posterity would judge me positively that I have employed every responsible means possible to get my refund no matter how little. But if they refuse to take this case of irresponsibility by one of their staff seriously, I would simply say that only time would tell my next line of action. All you would've done was to tell the lady what happened in ur previous transaction. That u gave her colleague the details and he said he had it loaded. They have an auto log that tells them instantly who spoke to you at the time. They can then investigate (in less than 5 mins) what the agent did and trust me, you would've been sorted out instead of waiting for the effect of a mail. I advise you call them and tell them what transpired and demand your line be loaded instantly. That's it! @ Anonymous - Thanks for your comment. However, if you read through again, you would see where I stated that I tried making a case with the lady about what transpired earlier between I and her colleague but all she quickly said was "Let me connect you to speak with my Supervisor" and that was it. She passed me through to the 'supposed' supervisor of which the phone rang for over 45 minutes before the call got terminated by itself without my getting across to any human voice on the other end. As regards calling them, take this from me, it takes one in a hundred chances for any success in speaking to these agents. And just as someone mentioned above, the call automatically cuts whenever I press the required button thats supposed to connect me to a customer care agent. If only they knew you, they wouldnt try that. Controversy pays! Remember? @ Oga Ikenna - Thanks for your comment. Demanding for right service using every responsible means is just my way of life. And I would always apply every morally acceptable means to achieve it. More like controversy, I would say that it sure pays to always let your voice be heard. please, I'm currently faced with the same challenge. how can i get help?